Milennia-old petroglyphs of a race of skilled marine hunters and the animal life that sustained them adorn the cliff rocks on the bank of the Pegtymel River. In these images, men with spears and harpoons in boats and kayaks are shown alongside whales, seals, reindeer and polar bear. Thus, daily life as it was in 1000 BCE in what is now Siberia's Chukotka Autonomous Okrug has been preserved. 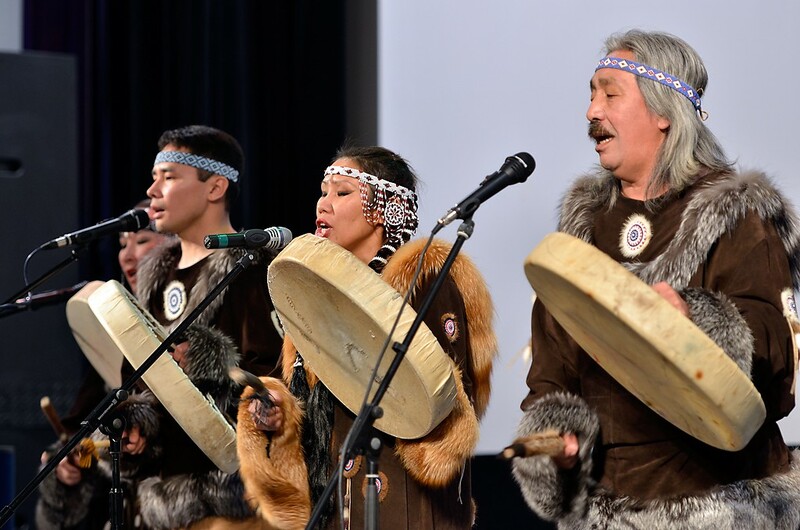 And like their ancestors who created the indelible stone etchings, the Chukchi people have stood the test of time, keeping their culture alive. Today there are 15,000 members of the Chukchi culture in Russia's far northeast. Calling themselves the Lygoravetlat, or “true people,” they form two groups. Those who live inland traditionally hunt and herd reindeer, using them for transportation, clothing, and food. As a traditional dwelling, they live in a cone-shaped yaranga made from reindeer hide. Those on the coast hunt sea mammals, including seals, whales and walruses. 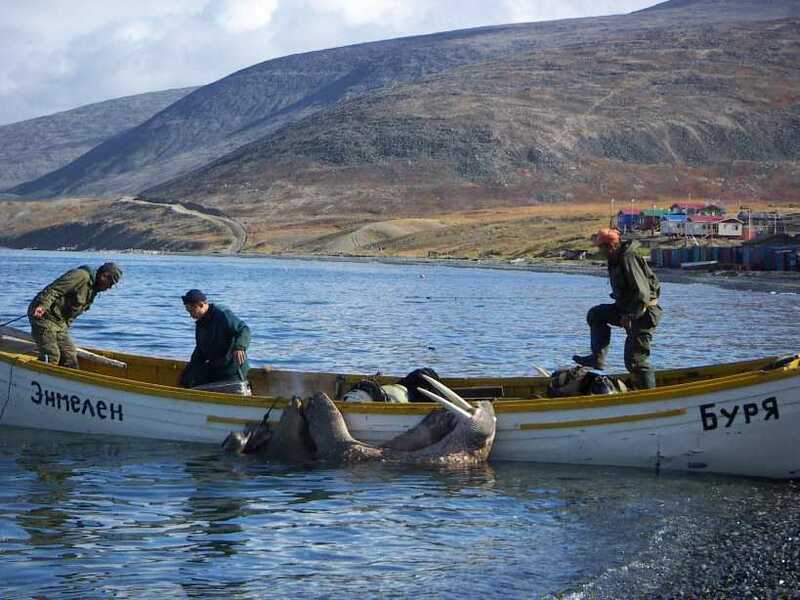 They are also skilled fishermen, with canoes and nets as well as through holes cut into the ice. On water, they travel with skin boats; on land, with sleds and the dogs they have bred for centuries, now known as the Siberian Husky. While many still participate in traditional ways of life, it is now often supplemented with modern conveniences. 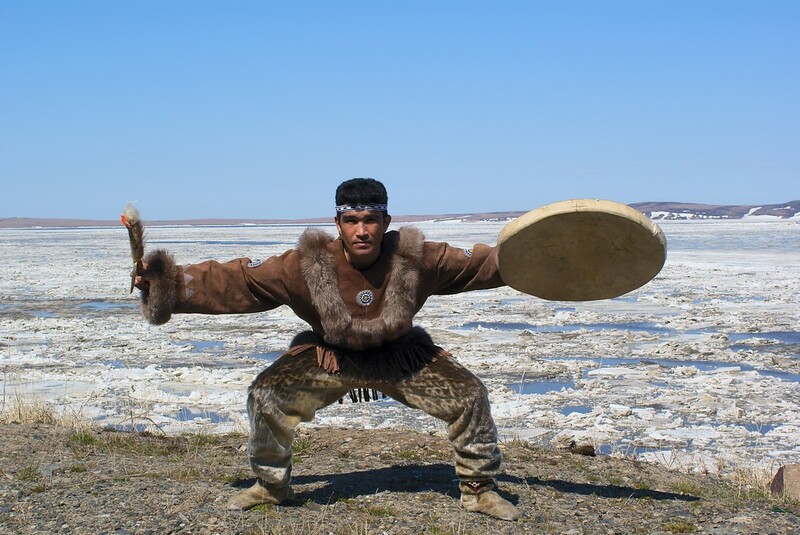 The Chukchi have never separated man from nature – instead, he is part of it. 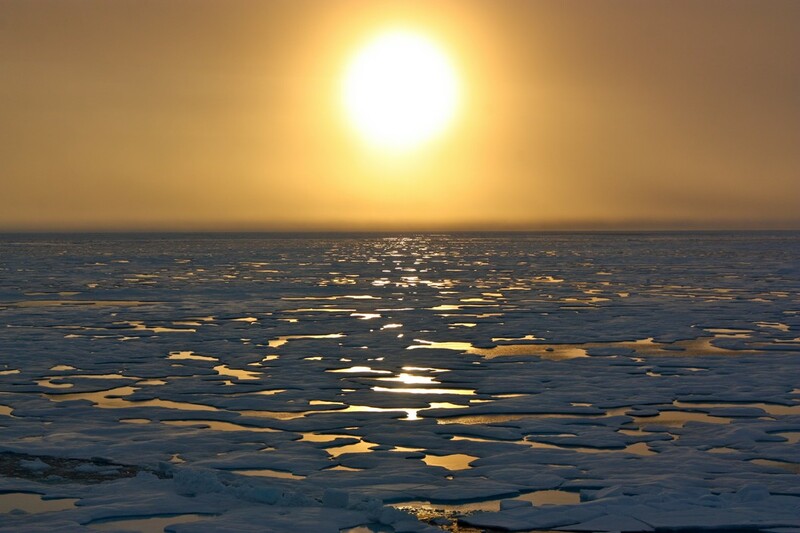 This unbreakable link with the natural world is found over and over in Chukchi folklore. Their rich tradition, nurtured by centuries of development, is made up of numerous tales of animals and people. Marriages between humans and animals, polar bears with human faces, and reincarnation as different animals are just some of themes in folklore and legend. In one story, the reindeer sacrifices itself so that mankind may survive. In another, a human mother nurses two husky pups back to health during a time of famine. These stories emphasize the interdependence of people and nature. Another legend tells of a human mother who marries a whale and has half-human, half-whale children. Some stories feature a hero, often venturing bravely into the sea to rescue a wife or a brother. Through folklore, personified ravens, foxes, and polar bears become colorful characters, and shamans communicate with spirits or even transform themselves into animals. These legends have become part of the beliefs they hold most dear. Their ancient shamanism still survives today, refusing to yield to past conflicts. In the 1700s, Russia's repeated attempts to conquer the Chukchi people failed, until the government decided instead to simply tax the region and enjoy more peaceful relations. 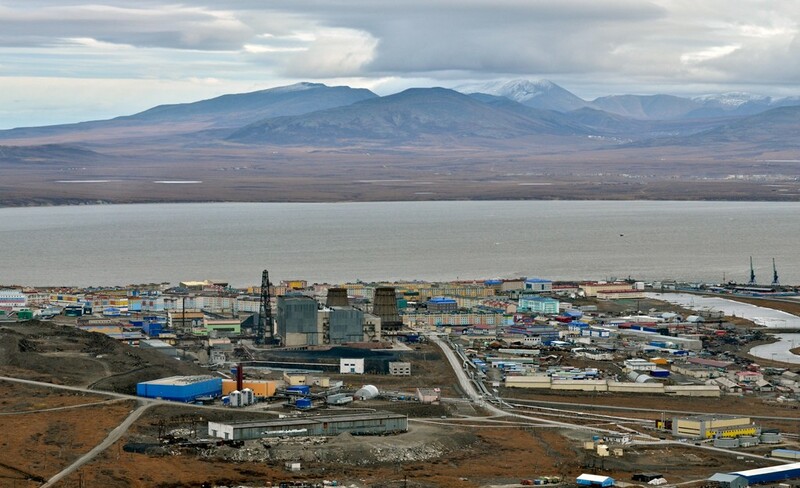 The Chukchi did not emerge unscathed – the scars of pollution from Soviet mining and weapons testing run deep, and their native language has suffered as a result of government-imposed boarding schools. Yet, the fierce pride of the Chukchi people refused to be dominated, and they retain a great deal of their sacred traditions. In the 1980s, native rights organizations began to stand up for their culture – from hunting rights to expanding language teaching. Legends and religion, such profound foundations for a culture, naturally manifest themselves through art. The Chukchi have a long history of artistic endeavors – from tanning skins to weaving bags from fibers to sewing with reindeer hair. But the Chukchi's most significant claim to fame is its intricate engraving on bone and walrus tusks. A tusk, delicately etched with the scenes from ancient folklore, is like a storyteller's yarn pictorially captured forever. The first engravings were those found on the Pegtymel River. In the yawning span of time since then, the Chukchi have used bone, the universal material, to create animal statues as well as household items – cups, knives – decorated in relief. In the 19th century, artists began a narrative style of bone engraving, expanding upon the ancient petroglyphs. Since then, the craftsmanship and detail of “telling” a story on a walrus tusk has become an amazingly-developed art form. Integral to keeping their traditions alive is the active celebration of their most sacred holidays. Bringing together the young and the old, all members of the Chukchi society can participate in the rituals that perpetuate their beliefs. August brings the essential three-day celebration to honor the deer. During these 72 hours, the sacred tambourine must not cease, as multiple people take turns to fulfill the duty. December brings the holiday of the Arctic stars. In March, they celebrate the day of the sun; in June, the day of the walrus. In September, they observe the rituals for autumn. Traditional dancing and singing accompany each festival, highlighting the unity of all creation through sacred movements and sounds. Clearly, the Chukchi have their finger on the pulse of their traditions. With dedication to ancient ritual, legends and art, they are creating a legacy that will always be etched in the walls of time.